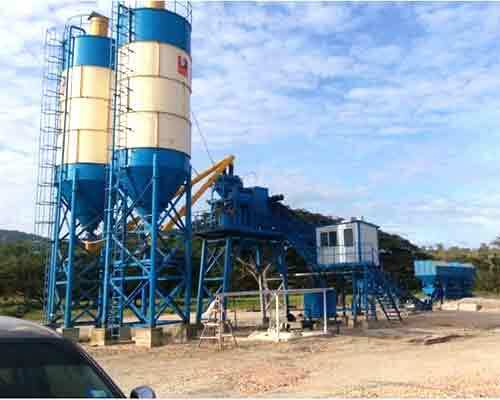 What would you do if you want to purchase one set of concrete batching plant in Sri Lanka. Of course you can search in some websites and ask concrete batch mix machine quotation. But you can not see the real plants if you search in website. Aimix Machinery Group has over 20 sets fixed concrete mixing production line and one sales agent in Sri Lanka. We can arrange you visit the working plants if you want to see the working sites and quality of our machines. And our authorized agent will give reception of your visits and help you install the plants if you take an order from us. You do not worry about after-selling service and installation and transportation. Last week, one of our potential customer took a visit on our fixed concrete plant site. He was satisfied with our quality and designs of our machines after seeing the working plant. Want more details or best price? Contact us now.